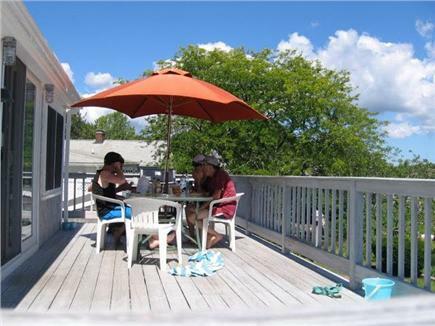 This waterfront family vacation home offers a comfortable living area, well equipped kitchen, washer/dryer, 2 full baths (one with tub and one with shower), wi-fi, DVD/VCR, and cable TV. 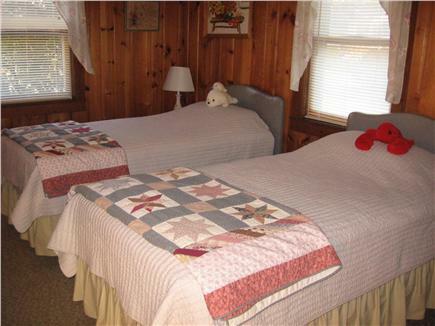 The 3 bedrooms offer sleeping for 6 people maximum, including one room with a full bed and 2 twins, one room with 2 twins, and one room with a full bed. A baby gate, highchair, pack ‘n’ play are available if needed. Iron/ironing board on site. 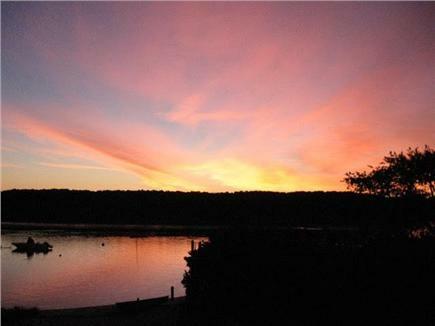 The large gated deck overlooks panoramic easterly views of Eel Pond, Seapit River, Child's River and Washburn Island. 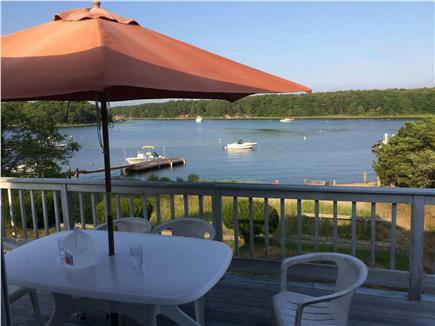 Wonderful scenery, marine life, birds, salt marshes can be seen on navigable waterway that leads to Vineyard Sound. Set in a family oriented neighborhood. Kayak, canoe, paddle board and bike rentals are available nearby. 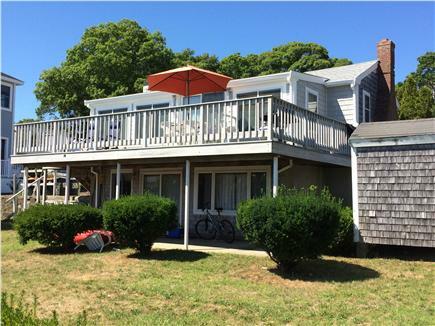 Enjoy hiking, biking, walking the beaches or relaxing on the deck in one of the most beautiful locations on Cape Cod. Other Helpful Information:: A very short walk to neighborhood beach for swimming (no lifeguard). Local activities include concerts, fairs, restaurants, and nature walks, etc...Nearby favorites include: A sunset trip to Nobska Light (1/2 hour scenic drive by car), walking the Knob, ice cream, dining out, exploring Washburn Island, clamming, or fishing (Licensing available at town hall). We had a perfect week here. Our children and grandchildren came for part of the week. We loved watching the water all day. We swam and kayaked at the cottage beach and at the neighborhood beach. Look forward to returning next year. Lovely location and the cottage had everything we needed. 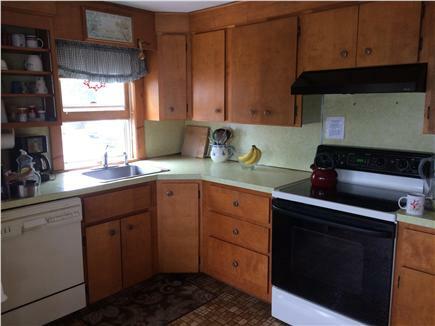 Plenty of space, well-stocked kitchen, washer/dryer, and a row boat! My kids loved the boat for fishing and heading over to Washburn Island to explore! The owners are fantastic to work with and very helpful with local Falmouth information. We very much enjoyed our week! First time renting a house on the Cape. Been used to timeshare use/rentals for the past 35 years. They are hard to find on the Cape unless you want to go in December or stay in a hotel size room. Was totally unaware that linens and towels are usually not provided. They were here. 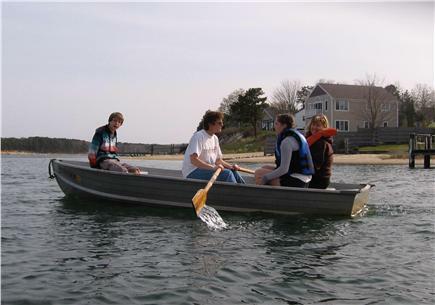 Also, you get an aluminum row boat to use to get to Washburn Island. My son timed me rowing back. 2 1/2 minutes, so needless to say, it is an easy row. Saw a lot of Lady Slipper plants on the island. Kind of rare. Found a jeep frame from WW2 (see pic). 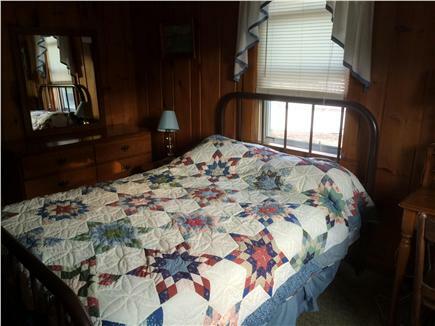 The cottage was purchased by Jack and Ruth Tucker in 1962 (our parents). 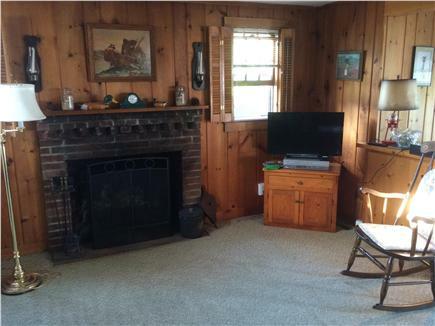 At that time the house was unheated, rustic, and was on cinder blocks with a crawl space underneath to keep the oars and life jackets. 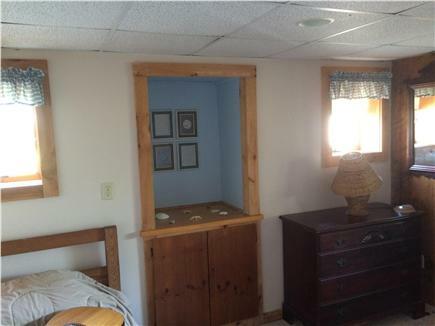 They rented it out all but two weeks each summer that they used with their six children. Jack enjoyed taking his family fishing and clamming. His fishing, though not always successful, was certainly memorable. He made great clam chowder (with a Boston accent-- chowdah). They made improvements on the house as they could, winterized it, and eventually stopped renting it. The adult children and their families began managing it in 1990, after Jack's death, and began renting it again. They made some more improvements connecting a downstairs bedroom and play area. It remains the haven that Jack and Ruth intended for family vacations. A place to relax and enjoy the sand, sun, and water. 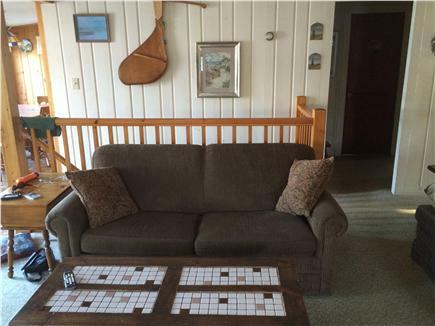 The best part of this home is that one can just stay right there and have an amazing vacation with all there is to do and see right on the beach, on the water, or in the neighborhood. Washburn Island has a very rich history as a location for some very impressive mansions in the 1800's, an amphibious landings training camp during WW2, and now a wildlife refuge and bird sanctuary. Falmouth is one of the first towns when arriving on the Cape. Falmouth has a great array of dining places, beaches, and shops. 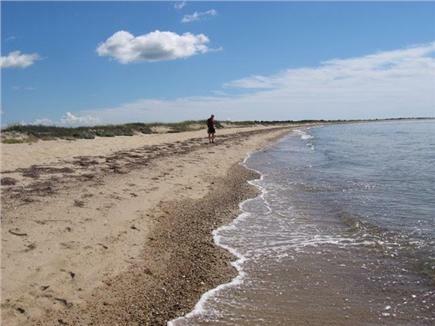 Woods Hole, Mashpee, and Sandwich have rich histories and many sights to experience, including Nobska Light, Woods Hole Aquarium, Old Silver Beach, Shining Sea Bike path, The Island Queen ferry to Martha’s Vineyard, and much more.